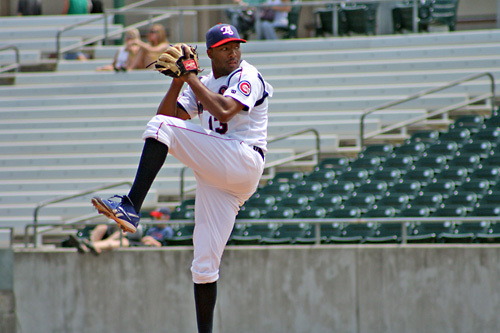 The Tennessee Smokies is a Class AA minor league affiliate of the Chicago Cubs and member of the 10-team Southern League. 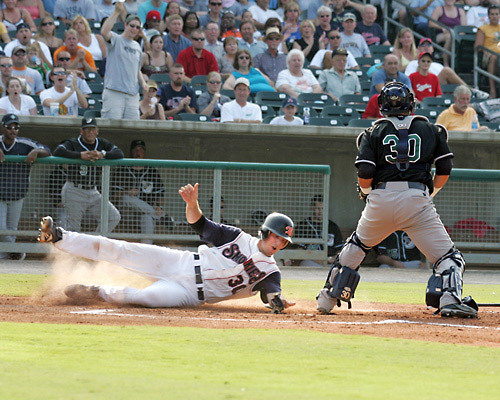 They play a 140-game full season schedule, including 70 home dates at Smokies Park. Come and enjoy a fun game with family and friends! The park has a seating capacity of 6,000 – all lower level seating located no more than 20 rows from the field! Minor league affiliate of Chicago Cubs. Fun, family friendly atmosphere for kids of all ages. Farm team of the Chicago Cubs. Located in Kodak, TN at I-40 Exit 407, across from the Bass Pro Shops. Parking fee is $5.00 per vehicle. Kids Zone playground for 12 and under. It's Baseball in the Smoky Mountains! 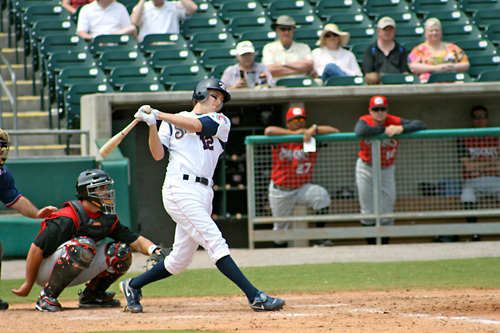 The Tennessee Smokies is a Class AA minor league affiliate of the Chicago Cubs and member of the 10-team Southern League. Our 2019 season runs April 4 through August 27. 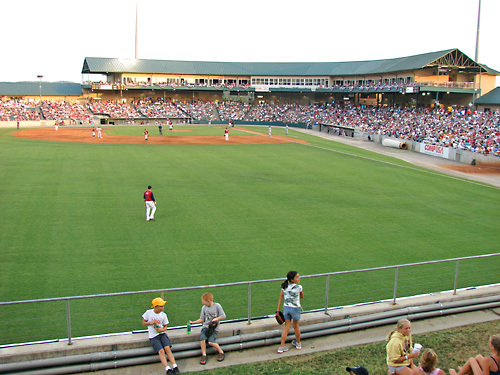 Smokies Stadium opened in 2000 and is conveniently located immediately north of I-40 at exit 407 in Kodak, TN. The stadium has seating for 6,000 – all lower level seating located no more than 20 rows from the field! Field level box seating is located behind home plate, both dugouts, and down either baseline, while our bleacher seating flanks the outfield and is located in the last two sections on both the 1st and 3rd baselines. 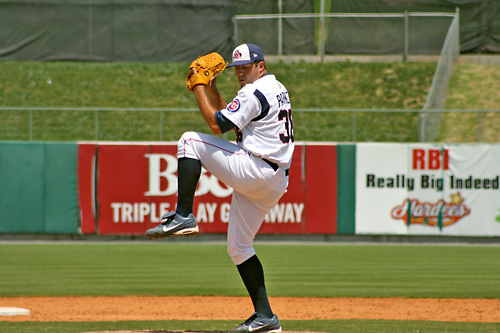 The GoTeez Locker Room, located inside the stadium, is your one-stop shop for Smokies and Cubs souvenirs. 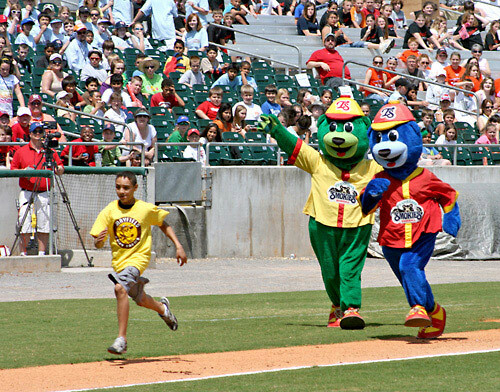 Fans ages 12 and under be sure to check out Homer the Hound’s Playland presented by Shoney’s at the end of the 1st baseline. Homer the Hound’s Playland features a prize wheel, speed pitch, giant inflatable slide, and moon bounce. All games require tickets that can be purchased for $1.00 each in the Kids Zone. Wristbands granting unlimited use of the giant inflatable slide and moon bounce are available for $5.00 each. Free stationary playground equipment available. Stadium parking is $5.00 per vehicle. Motorcycles, buses, and vehicles displaying a handicapped tag park for free. Fans wishing to purchase beer inside stadium gates must have I.D. checked at our Alcohol ID Check Cart presented by Weed Man located inside the first and third base entranceways. Please note: No refunds or exchanges on tickets purchased. If the game is an official rainout, your ticket is good for a future home game. Your seat location for that future home game will depend on the availability for that day. No shows: If the game is completed and you were unable to attend the game, your ticket is good for a future home game. However, you are limited to selecting a berm seat for that future game. Upgrades would be available for an upcharge fee by contacting the stadium ticket office. 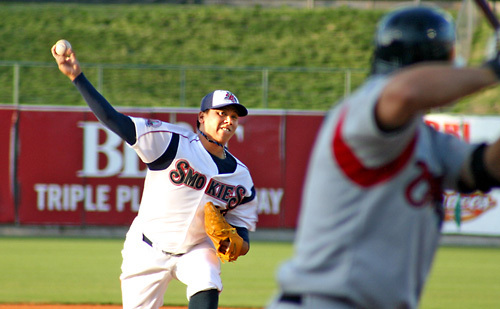 In the event that 4.5 innings are not played due to weather for a particular game in 2016, that night's ticket can be used towards the purchase of any future 2016 home game at Smokies Stadium. It is a 1-to-1 redemption and rainout ticket can be redeemed in-person at our stadium ticket office for the future game of choice. Please note that rainout must be confirmed and announced by Tennessee Smokies before any redemption for that game's ticket can be made. During select home games throughout the season, kids 5-12 years old can run to try and catch our Chicken, Clucky Jacobsen. Kids wanting to participate need to be at the top of Section 118 (next to third base picnic tent) by the middle of the third inning. Parents...please make sure your kid(s) are wearing appropriate footwear to participate (kids with sandals, Crocs, open-toe shoes and bare feet will not be allowed to run). 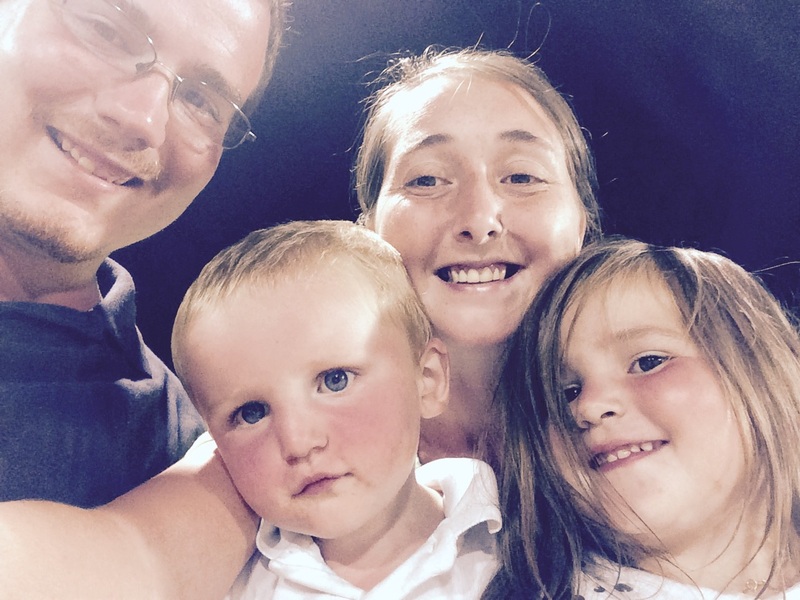 Does my child need an admission ticket? Children three and under are not required to have a ticket for admission to Tennessee Smokies games, however they must sit in an adults lap. Concession stands are located throughout the stadium concourse and all accept cash and major credit cards. Concession stands open when the stadium gates open and will remain open through the better part of each game; first and third base stands remain open up until the end of each game. Yes, one of the newest additions to Smokies Stadium is the Smoky Mountain Brewery Bullpen, a full-service restaurant located down the third base line that is open during home games. Inside are tables and a bar, along with full waitress service with a food menu and beers courtesy of Smoky Mountain Brewery. Fans can also walk up to the bar down the third base line to order on the concourse. Is there fireworks at every game? There are fireworks only on Fridays. Following completion of every Friday home game at Smokies Stadium, we will be putting on a fantastic fireworks show for fans in attendance. Can we purchase funnel cakes? Yes, we get this question quite a bit. They are located in our concession stand closest to the Shoney's Kids Zone down the right field line. Funnel cakes are usually available into the sixth inning (may vary). What time do the gates open for entry? Stadium gates for all 7:05 p.m. games open at 6:00 p.m. (for season ticket holders at 5:30 p.m.). For Sunday games, gates will open one hour before start of the game (1.5 hours before for season ticket holders). We call this our Clubhouse Shop. Located on the first floor at Smokies Stadium, it has two entrances. The outside entrance is just to the right of our ticket office, the concourse entrance is just to the third base side of home plate. The Clubhouse Shop is open Monday through Friday from 10:00 a.m. to 4:00 p.m. It is also open for every home game. Do you offer handicap accessible parking? 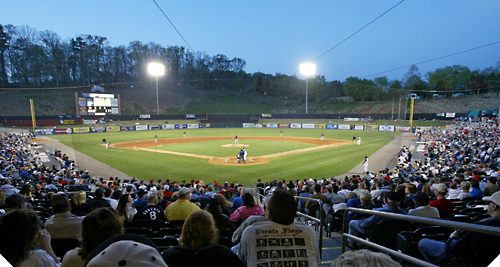 Handicap accessible parking is available in the Smokies Stadium parking lot located off I-40. All parking is subject to availability. 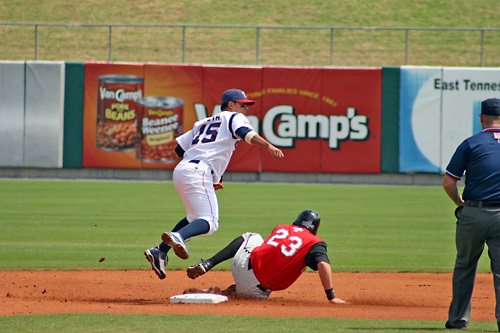 Smokies Park is fully accessible to handicapped patrons, offering handicapped restrooms, wheelchair slots and companion seating at the top of most sections.Handicap accessible seating is available in numerous sections of Smokies Stadium. What is the Fan Assistance Center? 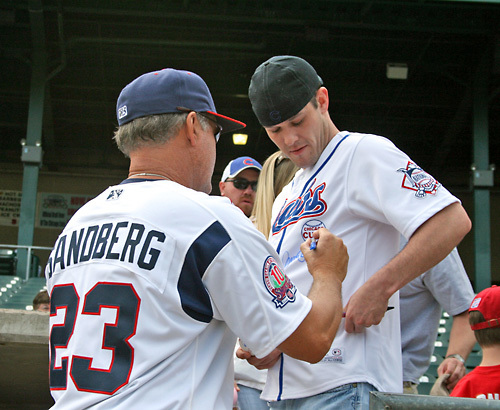 The AAA Insurance Fan Assistance Center and First Aid are located on the concourse behind home plate, staffed by individuals ready to answer questions, provide directions, or to respond quickly to stadium emergencies and minor accidents. Yes, we do allow them inside the ballpark on those evening where there may be rain. We ask that you be cognizant of those around you when opening your umbrella. Strollers are permitted in Smokies Park, but are not allowed down the stairs in the seating bowl. We ask families to park the stroller at the top of the section in the area that will not obstruct the sight or path of other fans. Is there any smoking areas? 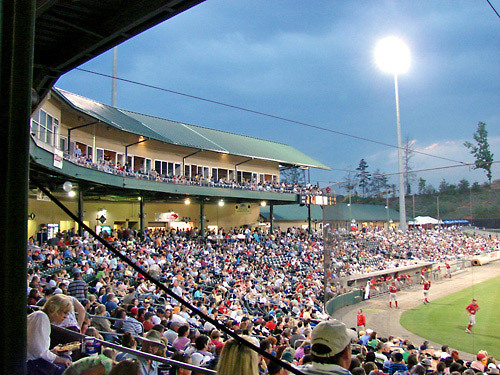 Smokies Stadium is a smoke-free facility. Smoking is only allowed in designated roped-off areas outside of the first and third base gates. Smoking is not allowed in any area inside Smokies Stadium. We ask that those who do smoke out in front of stadium gates not block the entrance of those entering the stadium.